About 15 min ago so fingers crossed. The last two nights it has taken me 3-4 hours to fall asleep and i toss and turn all night. This is not normal for me, normal for me is knocking out within about 20 min and sleeping the whole night through. Occasionally i wake up or toss and turn a bit but not like this. This means i haven’t worked out since my run on Sunday and i have slept in both mornings. 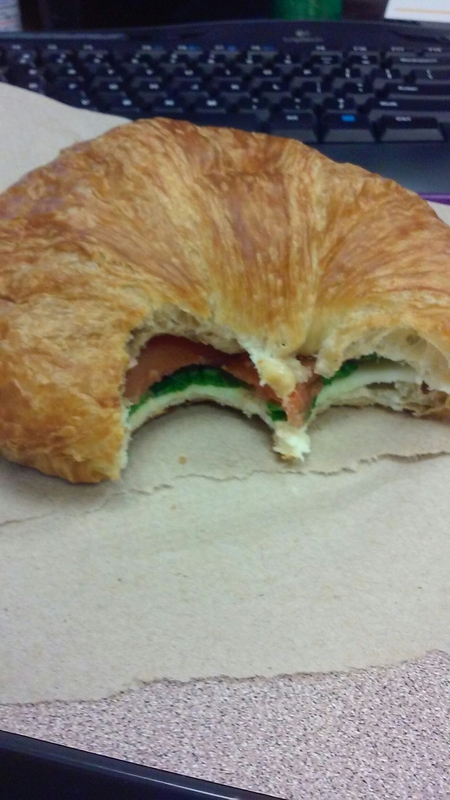 Tomato, basil, and mozzarella with balsamic vinegar on a coisant. That is really all there is to report. 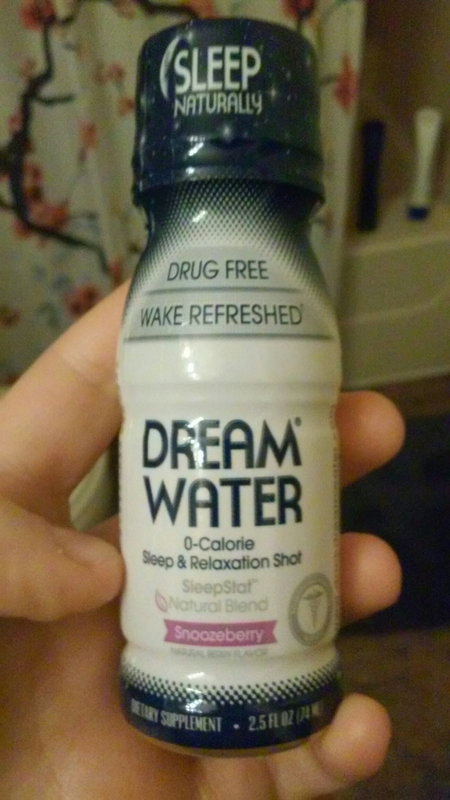 Hopefully this dream water will kick in and i can get a good night’s sleep and workout in the AM. Haha!! I fall asleep pretty fast and am wide awake 2 hrs later. Usually awake for 2-4 hrs. It started on Sun night after the time change. It seems to happen every time we change and takes me 1-2 wks to get back on schedule. Wish we were like AZ and stayed on daylight savings year round!! All that coffee might be keeping you awake at night!